TL;DR Solution that are both quick & easy to apply are usually a clear win, but in case of using cache to "fix" performance issues it may get really deceptive. 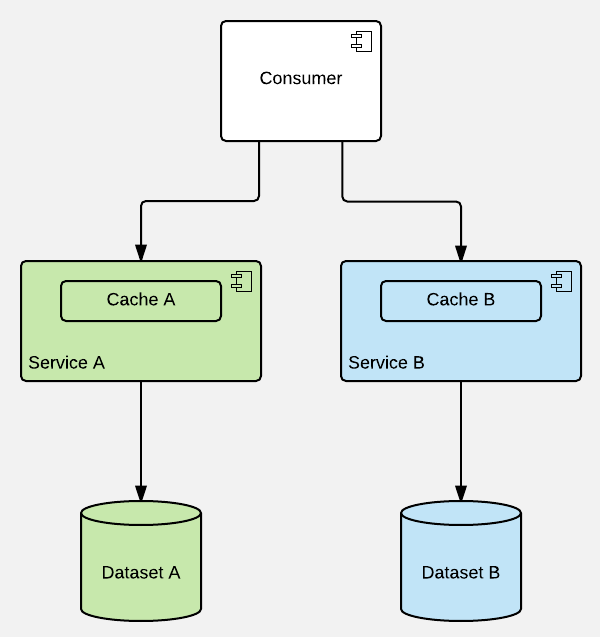 Cache is a good tool (if applied correctly), but the concept of caching scales very poorly with increasing both distribution & domain complexity, UNLESS you follow some very basic rules that may be very restrictive, but help with saving the composition & state coherence within the system. Fortunately (?) "the rest" is an overwhelming majority, but that has caused an interesting effect - a huge gap in terms of awareness, experience & palette of optimizing skills between engineers who work on these two categories. Specifically, the latter group seems to have just one, universal answer to any performance-related issue: caching. Why do devs favor caching over getting to the root cause of encountered issue(s)? 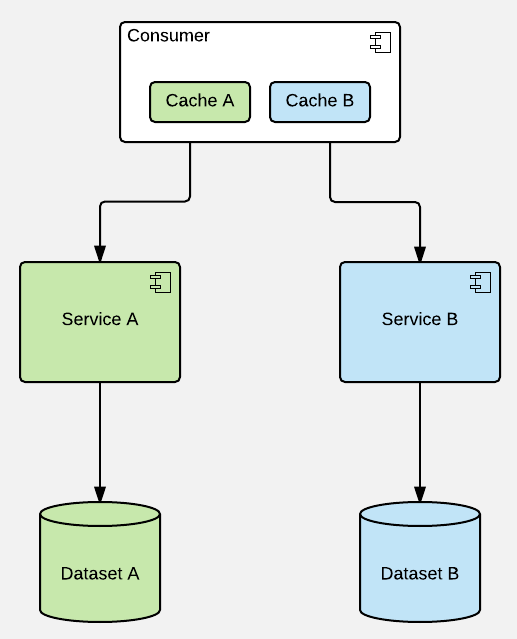 Caching makes the "solution" more local, hence limiting the regression scope. Dev doesn't have to get her/his hands dirty in code that may be someone else's, may be legacy, or may be just too fragile to deal with in a safe manner. 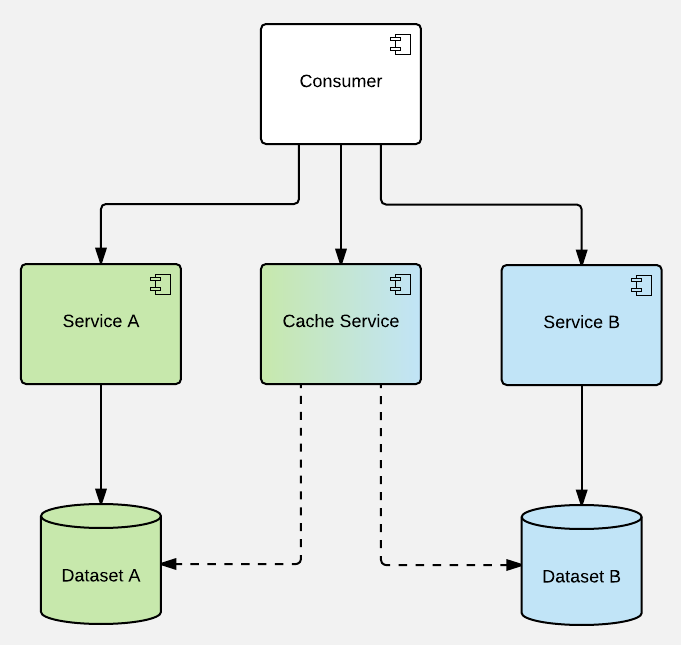 Cache is usually creating something new, a new, "clean" layer of abstraction. 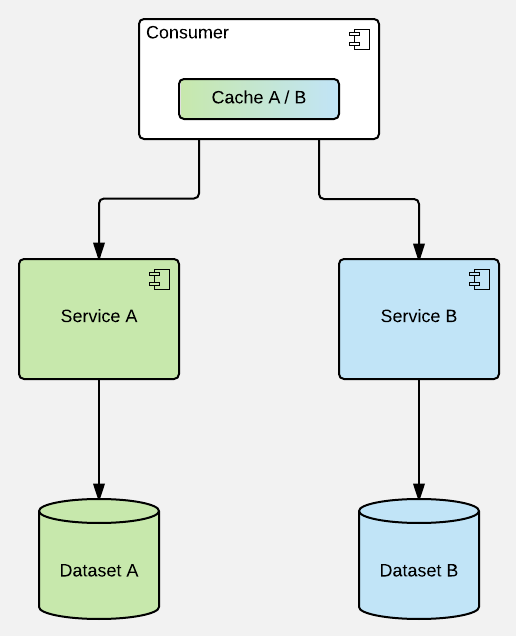 What is more, caches are usually memory-based (and memory is - in general - cheap), so they are quite a safe bet - even if cache is designed poorly or inefficiently, negative consequences won't be visible immediately, at least the performance-related ones. And the model-related (or composition-related) ones are usually highly underestimated. 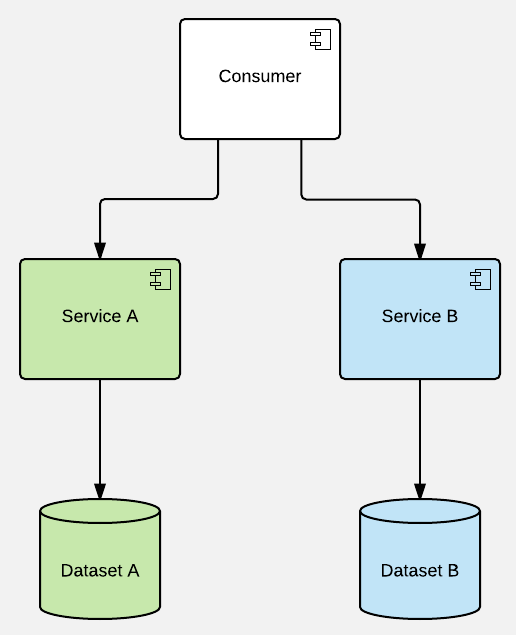 Caching on consumers (preferably just the final one in processing chain) is not too be condemned per se if all the service access goes via corresponding cache (just like in state managers of modern web applications) - disciplined approach to that is sometimes called an isomorphic API & has its sensible use cases. This model can be extended to multi-layer variant as well, but I wouldn't advice that. Speeding up memory with another chunk of memory rarely makes any sense & horizontal synchronization of different caches (e.g. built for different API gateways) may be a huge pain in the neck.